A ‘twist’ in the tale. Here’s a belt hanger with eight hooks to hang belts. A small, but essential addition to your wardrobe, which can make a lot of difference. This hangar ensures you always find your matching belts. With eight hooks, the hanger lets you organize your wardrobe to the next level. 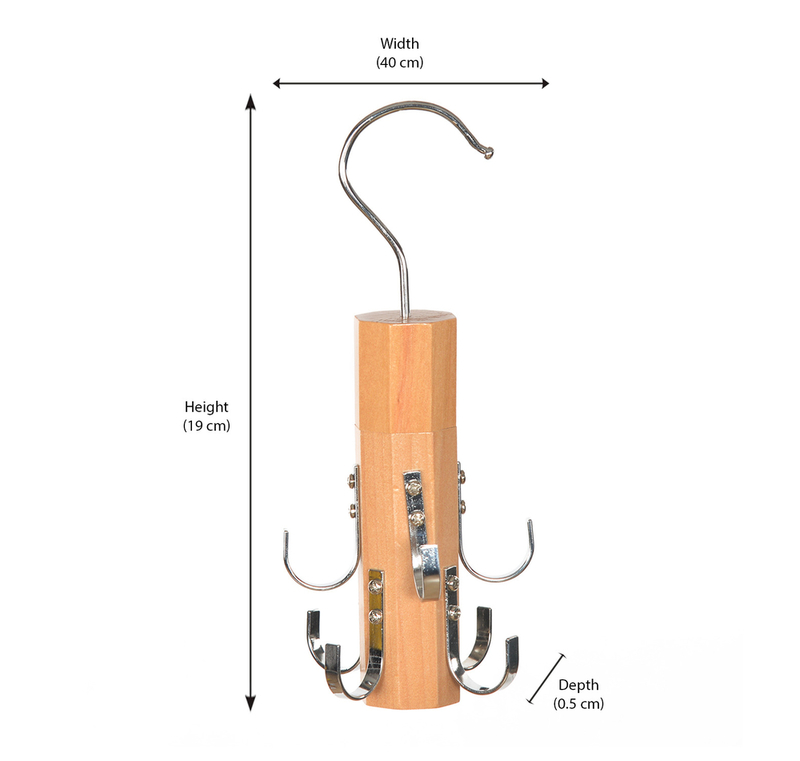 Made of wood with metal hooks, its simple and compact design allows it to be hung in the corner of the wardrobe or behind the closet door, without disturbing you or coming in your way. Pack it with fancy paper and it makes for a super cool gift for gentlemen.